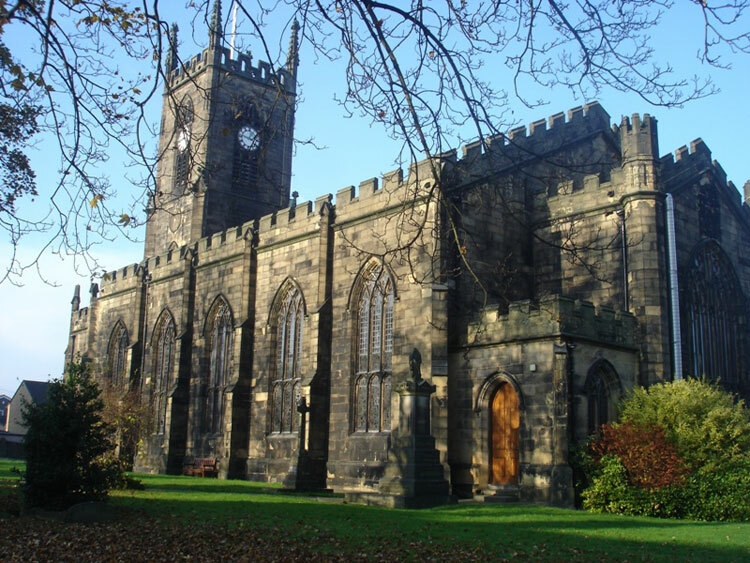 Shipley (St. Paul) Churchyard contains 2 burials from the First World War. Both burials are commemorated by a special memorial headstone, as the original graves lie elsewhere in the churchyard. 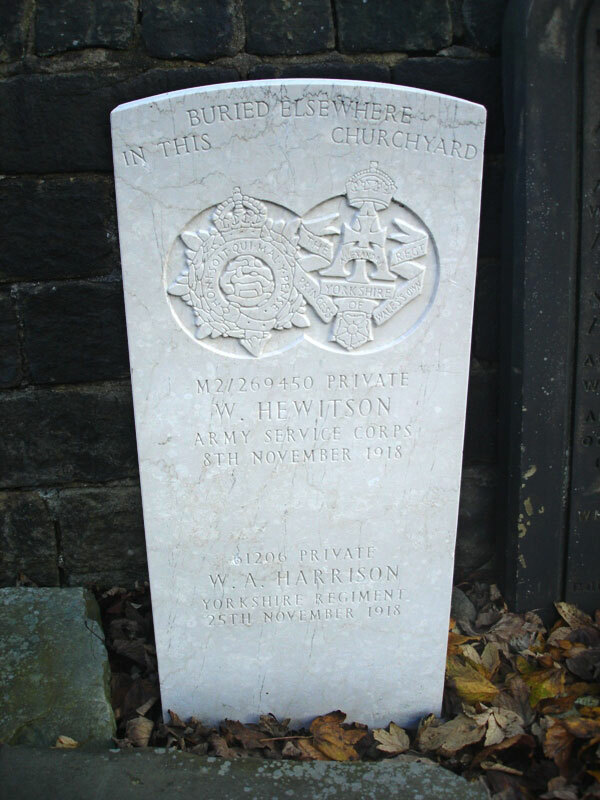 One soldier who served with the Yorkshire Regiment is buried in this churchyard. We are extremely grateful to Wendy Sutherland (<s0therl0nd@blueyonder.co.uk>) for providing the photograph of the headstone and the church. Both photos were originally on the Find A Grave website. Private William Arthur Harrison, 61206. 18th Battalion the Yorkshire Regiment. Son of John William & Mary Alice Harrison, of 124, Clarendon Rd., Morecambe, Lancs. Died at home 25 November 1918.